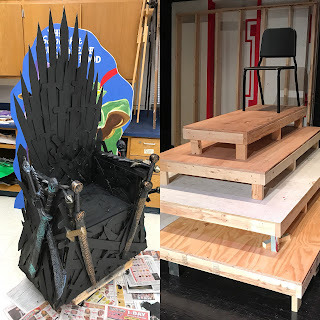 In this installment of In My Own Words, Wren Miller talks her about experience helping with set construction for this year's fall play The Somewhat True Tale of Robin Hood. 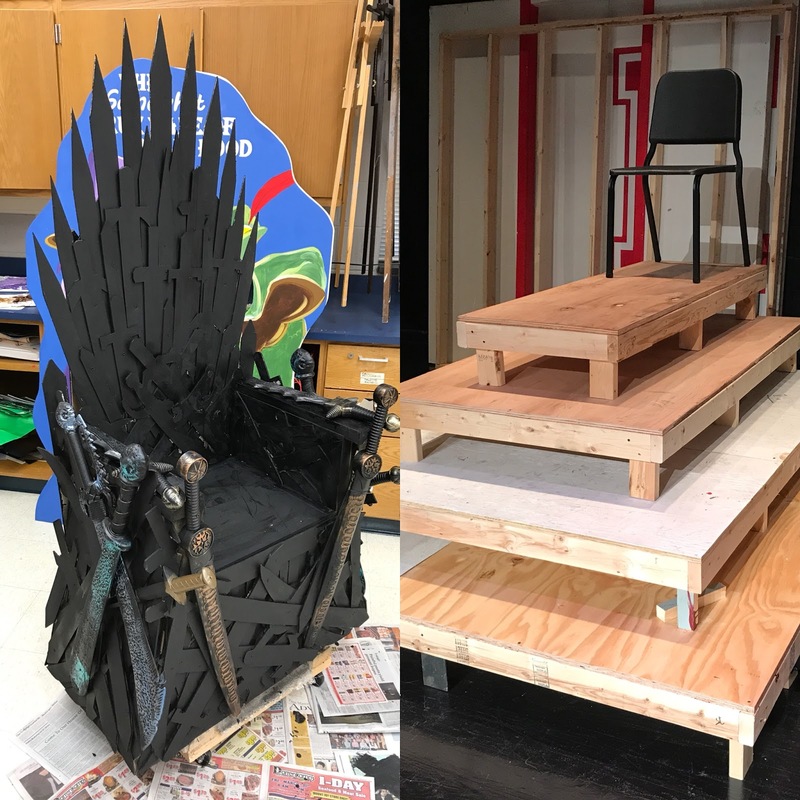 On Friday afternoons after many Lampeter-Strasburg High Schoolers have started their weekend, a dedicated group of students can be found on the stage of the Performing Arts Center building the set for this year's fall play, The Somewhat True Tale of Robin Hood. Technology education teacher Mr. Adam Zurn oversee set construction and recruits students every year to help build. Every week, on Fridays and Wednesdays, set construction takes place from 2:45 to 4:30 pm. Though I can only go on Fridays, as I have Art Club on Wednesdays, I still get to do a lot of the construction. We are currently building a castle and a platform for the Iron Throne to sit on. Set pieces are made mostly out of wood. We cut and measure the wood to create the different parts we need, and then drill and nail them together to form sturdy walls, stairs, and other required. 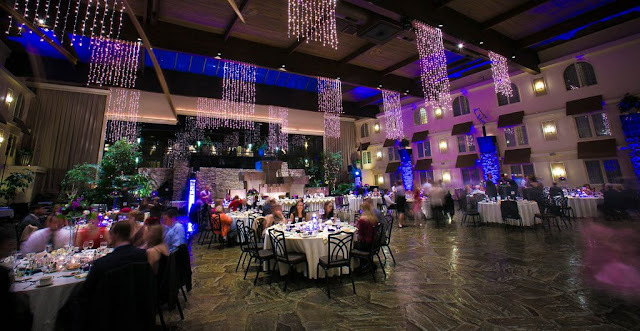 We will also figure out how to lift set pieces above the stage between scenes, which is a big help to the stage hands, who move around the set pieces and set the stage for each scene during the play. As a group, I think we do very well staying on task while building the set pieces but also have a lot of fun at the same time. It’s hard work, but everyone helping out and doing their part has really moved along the lengthy and sometimes difficult process of creating every set piece needed. We all work together well, and aside from simply putting together wood and cardboard, we have learned that communication skills and teamwork can take hard work a long way. Another part of the fall play is completed in Art Club, where members paint some of the smaller set pieces. Though we may get to do some set painting in the future, for now those in set construction still have much to create before the show. So far we have made good progress, and will definitely meet our goal of creating all the set pieces for Robin Hood. 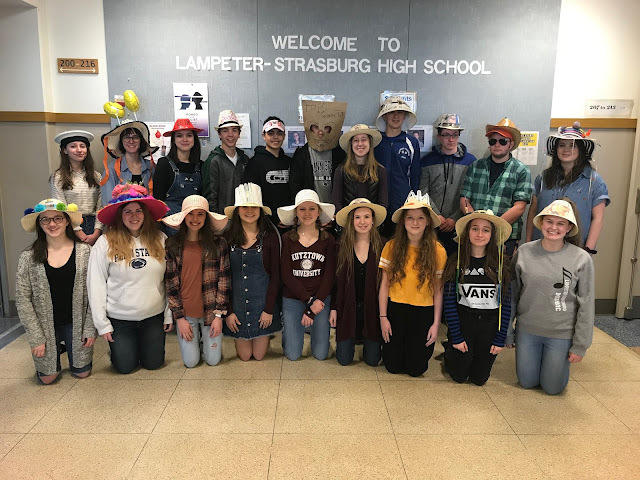 Performances for The Somewhat True Tale of Robin Hood will in the Lampeter-Strasburg High School Performing Arts Center on November 9, 10, and 11 at 7 pm with a special matinee performance on Saturday, November 11 at 2 pm. The show is appropriate for children of all ages!